An animated drama, Loving Vincent explores the artist's legacy through the mystery of his death. The film is a stylistic feast but struggles dramatically. All the characters are represented by animated paintings of the actors. One year after the suicide death of Vincent van Gogh (voice and likeness of Robert Gulaczyk), family friend Armand Roulin (Douglas Booth) is tasked by his father, postman Roulin (Chris O'Dowd), to deliver Vincent's final letter to his brother Theo. After learning that Theo is also dead, Armand travels to the village of Auvers-sur-Oise, where Vincent lived his final years and created most of his artwork. Armand investigates Vincent's final days and meets the people who knew the artist, many of whom appeared in his paintings. Innkeeper's daughter Adeline Ravoux (Eleanor Tomlinson) remembered Vincent as a troubled but kind man who had a turbulent relationship with his physician Dr Gachet (Jerome Flynn). A local paint supplies salesman, a boatkeeper (Aidan Turner), another physician, Gachet's daughter Marguerite (Saoirse Ronan) and the doctor's stern housekeeper all have different perspectives on the man, his life and death. A Polish production co-directed by Dorota Kobiela and Hugh Welchman, Loving Vincent is a partially crowd-funded labour of love. 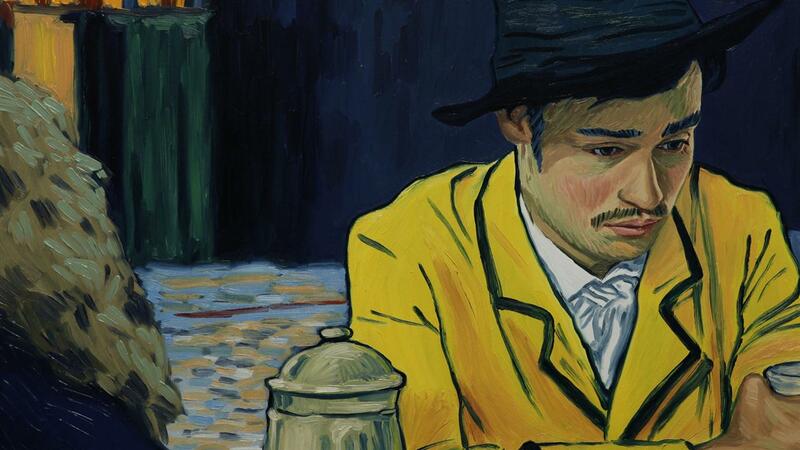 Approximately 125 classically trained painters created the 65,000 paintings used in the film. The scenes featuring Armand's search for the truth are all inspired by Van Gogh's actual paintings, animated in colour using his distinctive oil painting style. The flashbacks to Vincent's days in Auvers are in sharper black and white. The film's dual aesthetic tonality carries echoes of the artist becoming famous only after his suicide. Van Gogh dedicated his art to capturing life's bursts of beauty, but was ridiculed and ignored while alive. He figuratively burst into life after he died, and the film stylistically echoes his tragic trajectory, a stark black and white when alive, erupting in rich colours after death. Loving Vincent's visual achievement is certainly a thunderbolt of originality in the animation world. Sequentially, the imagery is first distracting, then fulfilling, and finally somewhat tiresome. The endless stream of animated images inspired by Van Gogh begins to feel like a gimmick. Meanwhile, the actors and their acting is lost within the post-impressionist style, and the film's emotions are stunted into whatever can be conveyed by the voiceovers. These feature a bewildering array of pronounced accents, mostly British and Irish, but certainly neither French nor Dutch. The relatively limp story does not help. The letter is an obvious McGuffin, and Armand's search for the truth becomes a Sherlock-lite mystery where every witness offers a different version of events and the truth is somewhere between all the conflicting accounts. It's painfully clear that the details of Van Gogh's death are of limited significance long before the hard drinking and overly intense Armand labouriously reaches the same conclusion. 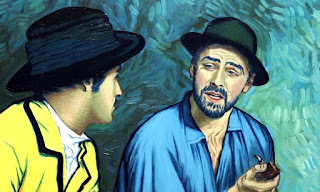 Undoubtedly imaginative, Loving Vincent deserves recognition for immense creativity, but it's also an experiment where an excess of art subdues substance.